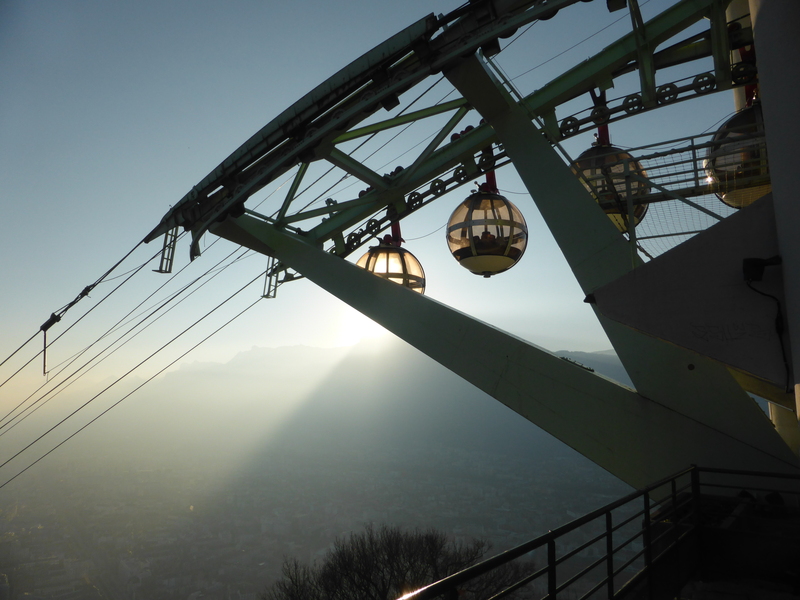 I have been trying to write about Grenoble for a while now, but I don’t know that I can. How can I put this city into words? It isn’t my hometown. I do not come from here: I was born in the rain-sodden shadow of the Coastal Mountains and I was raised to the beat of the relentless pounding of waves on beaches of a city far, far away from here. I was not born and raised in Grenoble. But I left my hometown. I got on a plane and I flew a very long way and before I left everyone said to me, aren’t you scared? And I said, yes, I’m scared! I don’t know where I’m living and I don’t speak the language and I don’t know a single soul in the whole city! Yes, I’m scared! That was a lie. I wasn’t scared, not even a little bit. In Vancouver I was never able to shake the nagging habit of saying and doing what I vaguely thought was expected of me. If I was honest, I would have said that I didn’t feel anything but this immense kind of calm, like I was back on Kettle River when I was eight, sitting in an inner tube in the Okanagan sunshine being pulled by the current of the river, feeling absolutely and utterly at peace with the world. And then I got here, and I fell in love. How I fell in love! I fell in love just as quickly and just as hard as I did when I was twelve and I looked up at the Eiffel Tower for the first time. You know that swooping feeling in your stomach when you fall quite suddenly and out of the blue, and no matter what happens or how time passes, you remember and it stays with you? That’s how I fell in love with Parc Victor Hugo and its elegant bordered gardens and the tall silvery-stoned French-windowed buildings that encircle it. I fell in love with the twisting, turning streets of Vielle Ville, I fell in love with the quirky shops of Saint-Bruno, I fell in love with the little patisserie around the corner from my house, I fell in love with my apartment. I saw them for the first time way back in the long, lazy days at the end of August and the swooping feeling they gave me in my stomach has stayed with me all through the many months since then. On that first bus ride from the Lyon airport into Grenoble, I looked up at these mountains. I thought to myself, these are not my mountains. But I think I will learn to love them just the same. And I did. Oh, I did. I remember sitting in Parc Victor Hugo – it was one of the first nights I was here and it is funny, how condensed everything becomes when you go away. You form relationships and you become so close to people so quickly and time becomes such a strange and malleable concept, when you go away. So I remember sitting with someone in Parc Victor Hugo, very late at night, and it was poring rain and we were arguing with each other as if we’d been friends for years and I remember looking up at the outlines of the trees and the silver buildings lit up in the rain and the pale light of the street lamps and I remember saying to him, you know, nothing you ever do or say can hurt me. You can throw all the words at me you like. You can do absolutely whatever you choose. And nothing can touch me, not really, because I am here. I am here and I am so indescribably at peace. Now I think about that night and those words I said, and when I say them again softly to myself they ring the chord deep inside that only the true things do. Everyone here is in agreement over one thing: this has been the best year of our lives. How can I put my new home into words? How can I describe to you the mountains that tower over the city like a grand duchess towers over her underlings? She is so immensely old – no one dares guess her age – and she sits entrenched in her throne and oversees all with a discerning and mildly condescending but benevolent eye. She is magnificent, and she knows it. She wears her coronet with the grace and aplomb of one who was born to do so. The mountains here are different than the mountains in Canada: in the place I was born they are rugged and wild and youthful and unabashedly untamed; here they are dignified in their age and their glory. They scrape the sky as they have scraped the sky for a hundred thousand years, and they hold all the infinite little alpine villages in their fold as a mother duck holds her ducklings under her wing. And this city – oh! this city. I have seen the way the rains of winter silver the whole place over and the summer suns turn it to gold. The river still curves through the city in a ribbon of docile blue, the wind still comes rushing down the Val d’Isère and tosses everything up in a bluster at around two or three o’clock every afternoon, and they do these things as they have every day for all of time. In late October the clouds lifted one evening just before the sun began to set and we saw that the mountains had been encrusted with the kind of diamonds more precious and fleeting than any other. We woke one morning in early April to find the whole city had been turned into a wall of green overnight and after that the flowers, the daffodils, the roses, the great big quivering peonies, the blood-red poppies and the gaily dancing bluebells, began to push and shove their way through the dirt towards the slowly-warming sun. Now it is turning to summer, and the swallows have come. They swoop outside my window every evening with their tails like pen nibs dancing over paper and it seems it would be so easy to leap off my balcony and join them. The air is so thick and sweet as the air can only be in late June evenings, before the heat of high summer, and the snow is nearly gone from the mountain tops. And people are leaving. Most of my friends are gone now; I will be one of the last to leave. I could have stayed later, I could have stayed longer, but I know in my heart of hearts I have done everything I can do to put off reality and I can’t do any more. I have been here for ten months. It seemed like such a long time, everyone told me it was such a long time and I knew all the while as I was nodding and smiling that it would fly by, as it has, in the space of a heartbeat. And now I am leaving in less than a week. I have less than a week’s worth of sunsets to watch from my little ledge into the sky. 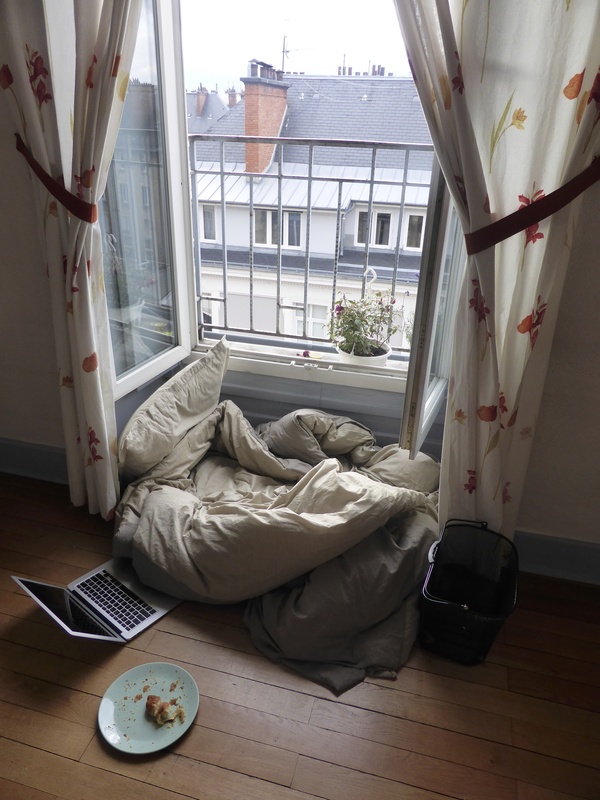 That’s the best part of this apartment: it feels like you’re outside when you’re not. We open up the windows in the kitchen and we throw open our tall shutters and the wind rushes through this house as it does in the trees below, we stand on our balconies and it feels like we’re standing in the mountains, in the clouds, in the sky. I have less than a week’s worth of mornings to wake up and walk over to the patisserie and buy a croissant, and then to walk home again and to eat it warm with a cup of tea in my armchair by the window. Are these the things that make this city my home? I think it is these combined with the imprint of happiness I find everywhere here. I walk down the streets – I can trace them in my mind – and I have so few memories of sadness. I remember only the friends I found here, the best friends I’ve ever found in my life. The late-night drunken bike rides home (sorry, Joel) and the early-morning busses to the ski hills and the wine-blurred heart-to-hearts and the tram rides together and the grocery bags carried – and how am I going to leave? Truly, how am I going to leave? I have thought about these things so many times in the last week. Anyone who says ghosts don’t exist is a fool: when I look and I listen very hard I swear I can see them still, all the people who passed through my home and through this city, when I look and I listen I can still make out their hazy outlines and I can still hear the peals of laughter echoing, echoing. How many cigarettes were shared on that balcony, how many conversations? These are the things I can’t take with me. But I am ready to leave now. I have lived here. I have smiled at the gargoyle who sits perched scowling down at the intersection of Place Victor Hugo and Boulevard Edouard Rey, I have taken great gulps of the air every day that comes rushing down to me still carrying the scent of the pines from the mountains across the city. I’ve gone for coffee with friends, I’ve gone to the bank, I have done all the innumerable little things which so quickly build up to fill a day, and then another day, and then another day after that. I have loved this city in a way that I’ve loved no other like it. I have watched so many clouds chase each other across the hills and I’ve heard so many trams ring their bells as they move away from the station. I have loved and I have lost and I have gained, here. How to say goodbye isn’t something you learn. How to leave things behind is not something you are taught in school; it doesn’t matter how hard you hug someone or how long your last night with them is, you will always be left wanting more. The best you can do is hug them as hard as your arms can bear, stretch the last night out for as long as you can, and tell them that you’ll see them soon. Because when months become moments and years become a matter of days, in the grand scheme of things, you will. 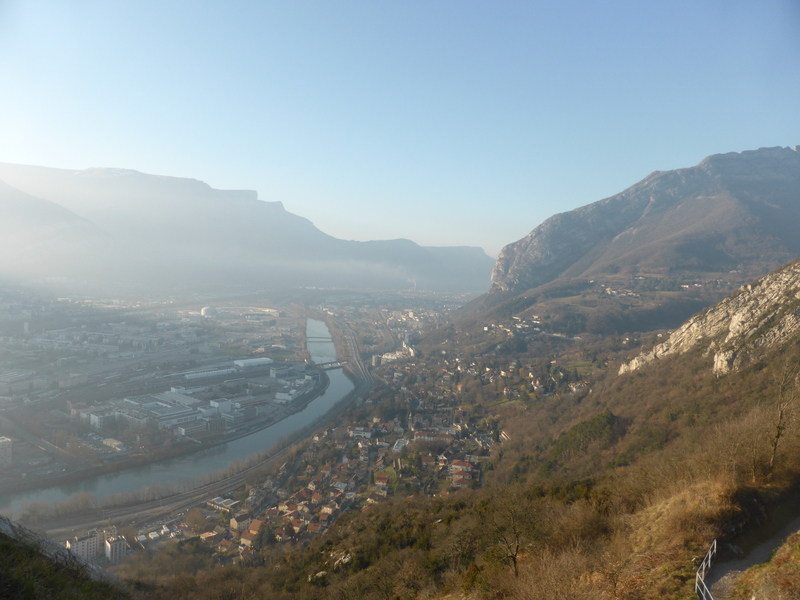 So goodbye, Grenoble, and goodbye to all the people and all the places and all the memories I have loved so hard and so well here. I’ll see you soon.